Let's face it: elegant, minimal footwear has become so easy to ignore. Over the past half decade, the sight of unassuming silhouettes, simple colour ways and versatile styles has dwindled on the runway, leaving a trail of challenging, chunky and gloriously garish shoes in their wake. But how do we define this infamous 'so ugly it's cool' sneaker, and who do we have to thank (or blame, if that's your style) for its ubiquity in 2017? The criteria is simple. Today's most sought after trainers are the ones you once spotted on a discount retailer's shoe rack almost a decade ago, begging to be bought by your ailing grandmother to help her with her posture and bunions. Back then, these silhouettes were synonymous with the dreaded 'sensible over stylish' rule, with their thick soles, panels-a-plenty, and fat, padded tongues held in place by a set of sporty laces. Once considered a crime against fashion, the ugly sneaker is now a vital component of the industry's disruptive modern make up. Embraced by swathes of hypebeasts and so-called "fashion goths" alike, brands have taken the 90s-bred infatuation for ostentatious, awkwardly clunky footwear and gave it a fresh and exciting haute couture home. In essence, the styles we now love were the ultimate niche shoes of yesteryear. From the raver-ready Buffalo sneaker to the gothic jungle boot, the era was a hotbed for an outspoken, underground generation using their footwear as a form of expression. Elements of those styles, namely the obnoxious soles and wild colourways, have permeated their modern day return -- and there's one Belgian man in particular that's behind it. "Brands have taken the 90s-bred infatuation for ostentatious, awkwardly clunky footwear and gave it a fresh and exciting haute couture home." Contemporary fashion's demiurge Raf Simons had been toying with boundary-pushing footwear design way before any hypebeast truly took note. In his early days, he was taking simple silhouettes and blessing them with off-kilter motifs like buckles and primary school plimsoll-like straps. At the time the statements were small, the kind that didn't really distract anybody from his lauded garments, but it was the start of a new incarnation of sneaker design that would lead to his now legendary and lucrative deal with Adidas. Although he's put his own spin on the more classic silhouettes too, like the Stan Smith and the Spirit, it's his revival of the brand's Ozweego running shoe that would ultimately turn the ugly sneaker perception on its head. 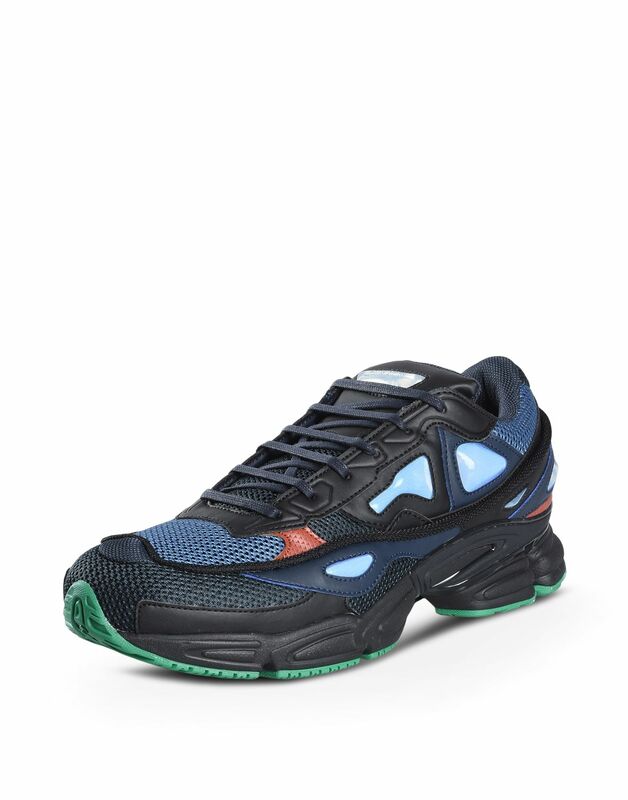 With its split platform sole, purposely clashing colour schemes and an innumerable set of panels made of leather, silicone, suede and mesh, every one of Raf's Ozweego styles since its autumn/winter 13 debut feel like a wearable and ambitious work of art. It's become the archetype of the ugly sneaker in the 2000s: sought after, instantly recognisable and, in many ways, unrivalled. But that didn't stop other brands and designers catching wind of the Ozweego love. Ever the influencer, Simons's discovery of the fashion consumer's thirst for bulky footwear has disseminated throughout fashion houses across Europe. While sportswear strongholds like New Balance, Nike and Asics were rejuvenating their sturdier silhouettes to cater to the consumer's new-found love, luxury fashion houses were delivering something beautiful and much more daring by design. When couturiers used to approach the sneaker, an "everyman" shoe regardless of its price point, the results were seldom worthy of discussion: simple and clean silhouettes that focused on high quality materials and intricate cuts that would act as investment pieces for the consumer, while not distracting from the trendsetting, timely garments each collections would be remembered for. Ready-to-wear has always existed as the crossroad of a brand owner's desire for commerciality and the creative director's desire to purvey fantasy; often, the former prevails. "Perhaps our 'hot-for-a-minute' obsession with such impractical -- and often costly -- footwear is a reflection of our desire to worship at the altar of trickled-down trends." But this wasn't the case when Balenciaga presented their Triple-S sneaker for autumn/winter 17, under the helm of provocateur Demna Gvasalia. Gvasalia is more familiar with the idea of pioneering trends, but his tardy take on the ugly trainer set a fire under the seats of those who thought this one had died. Boisterously designed and presented in an array of eye popping multi-colour styles, the sneakers looked like something picked out of an early noughties anime; so ridiculous that those outside of the fashion sect scoffed at them. Shows how much they know: the Triple-S, which has gone on pre-sale before hitting Balenciaga stockists later in the year, has already sold out of its initial run. An equally divisive sneaker also designed by Gvasalia, the tag-heavy Vetements x Reebok Insta Pump Fury, was blessed with a similar, instant sell out status. So does this now mean that you can rummage in your 90s wardrobe to bring back those Skechers you thought made you look like the coolest kid around? 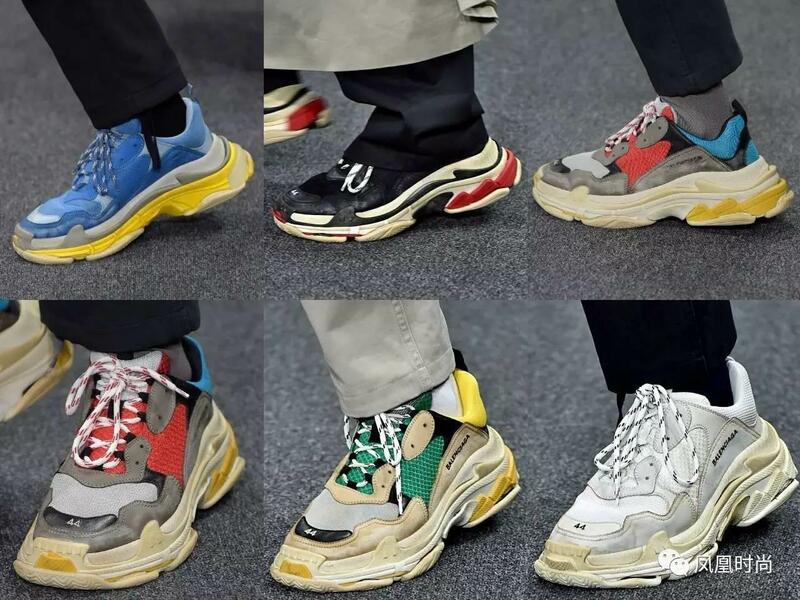 Perhaps -- the criteria that separates the stylish ugly sneaker from the flat out fashion abomination is still a murky area that we're struggling to make sense of. To catch on to the trend, high street 90s devotees like Fila have been re-releasing their statement, Spice Girl-esque platform silhouettes too, much to the glee of the nostalgists among us. Saying that, the jury's still out as to whether these styles are as coveted as the ones designers are sending our way. But the runway isn't exempt from criticism either. This season also gave us a divisive sneaker from Prada: the Cloudbust, with a billowing sole, sponge-y upper panels and a toe strap even your rock climbing-mad dad might struggle to get his head around. Depending on your tastes, it's either a masterpiece of disruptive design or the strangest thing you've ever set your eyes on. "I've seen the future," one Redditor sniped when the style was unveiled, "and it looks orthopaedic." Perhaps our "hot-for-a-minute" obsession with such impractical -- and often costly -- footwear is a reflection of our desire to worship at the altar of trickled-down trends. If Simons and Gvasalia are managing to send sneakerheads into a stupor with the announcement of a new colourway, shouldn't we all be grabbing ourselves a pair? Is now the time to throw your Chuck Taylors in the trash? Or ceremoniously burn your Common Projects in favour of a pair of bulky Balenciagas instead? Perhaps not. While we might be living in submission to the ugly sneaker right now, we can hardly testify to the trend's longevity; all it takes is one influential designer to tell us that elegant footwear is back, forcing us to put that garish sneaker to the back of the shoe rack. Instead, relish in the trend for as long as you can. Head out there wearing your most adventurous, polarising pair of trainers with confidence knowing that, right now, donning ugly is most definitely in. Listen to a podcast on small sunglasses, ugly trainers and the year's biggest trends below. Read: The 2000s were next level ugly which is why they should be celebrated.